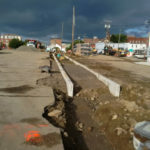 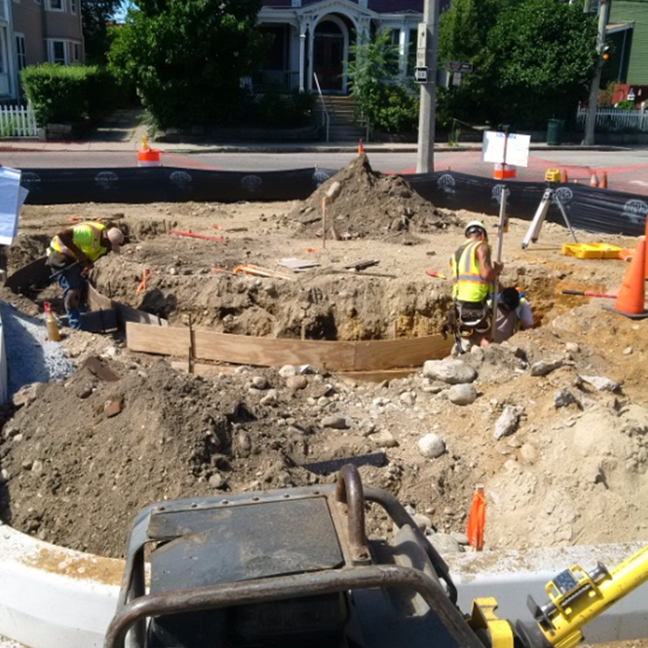 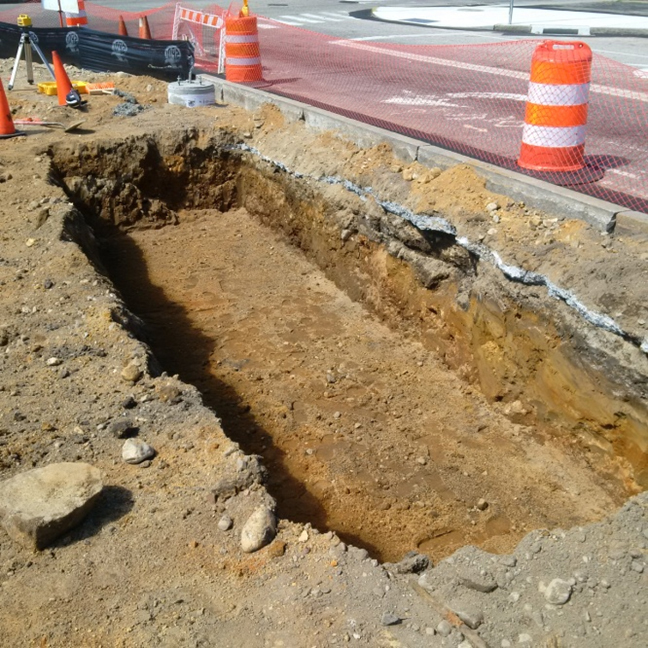 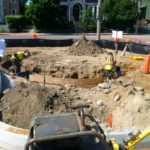 In July 2016, the City of New London embarked on an ambitious project to redesign and construct two municipal parking lots along Eugene O’Neill Drive which back up to Bank Street, one of the City’s main commercial thoroughfares. 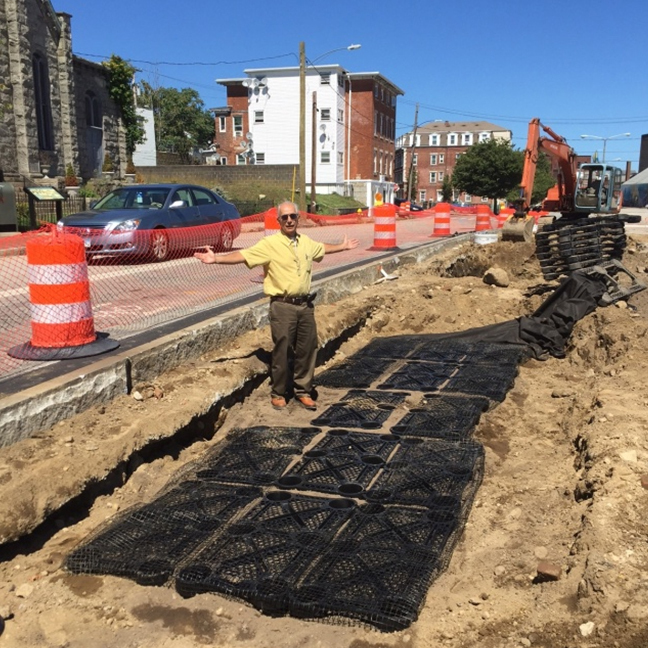 The new lots feature several innovative design and functioning elements. 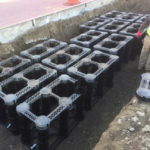 These include center islands serving as “rain garden” storm water collection basins, the use of “Silva cells” (sub-grade plastic cages) to provide a healthy growing environment for newly planted trees, classically styled brick entry nodes, and the addition of decorative lighting fixtures that match existing lighting designs along Bank and State Street, serving to visually connect the parking lot with area commercial establishments. 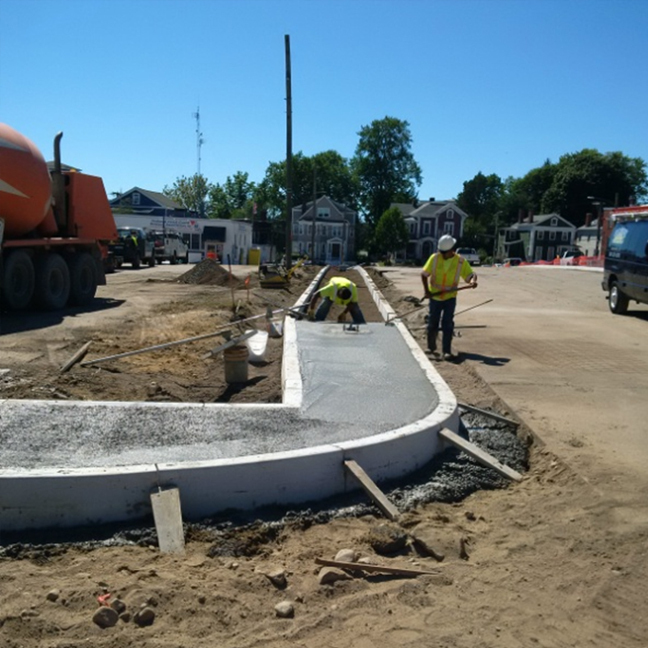 A key component of the project is introducing traffic calming and pedestrian safety elements to the area. 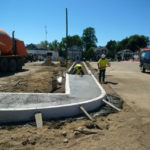 This is achieved through selective addition of “bump outs” at major intersections, and pathways throughout the lots offering clearly understood access to Bank Street. 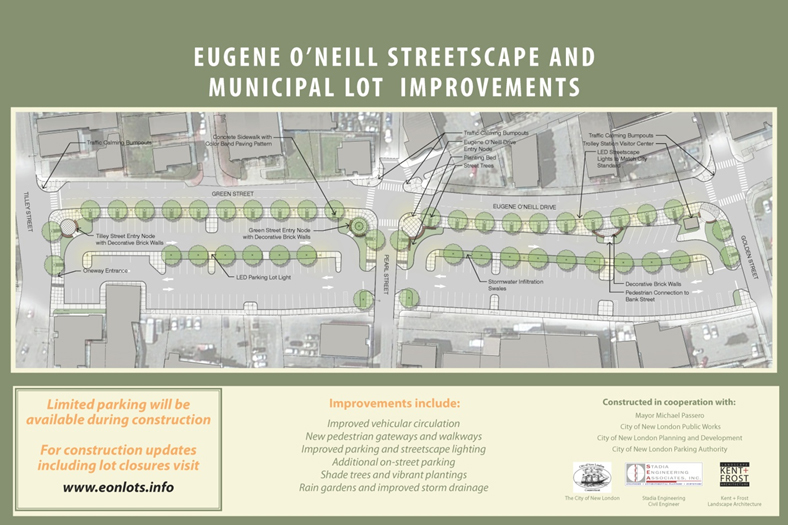 The main access point at Eugene O’Neill Drive and Pearl Street will include a public art feature. 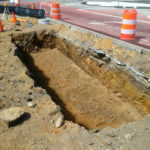 The City will employ state-of-the-art parking meter and electrical vehicle charging station components within the lots. 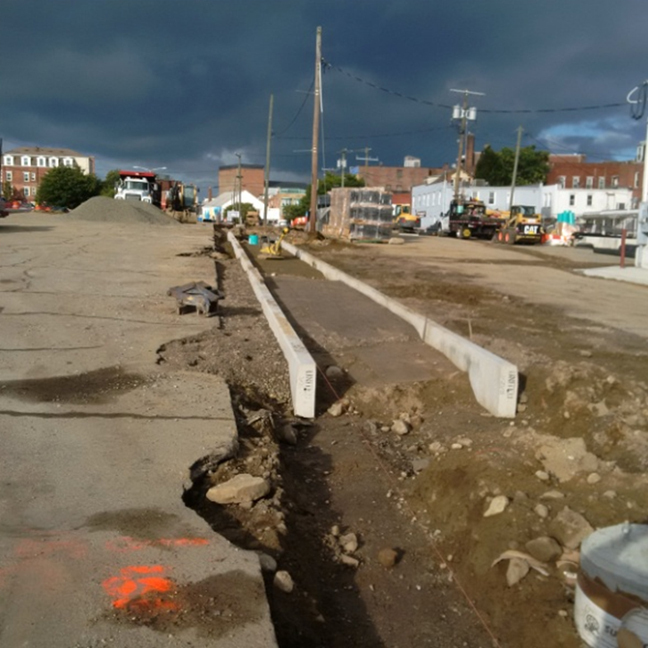 Construction of the lots is complete. 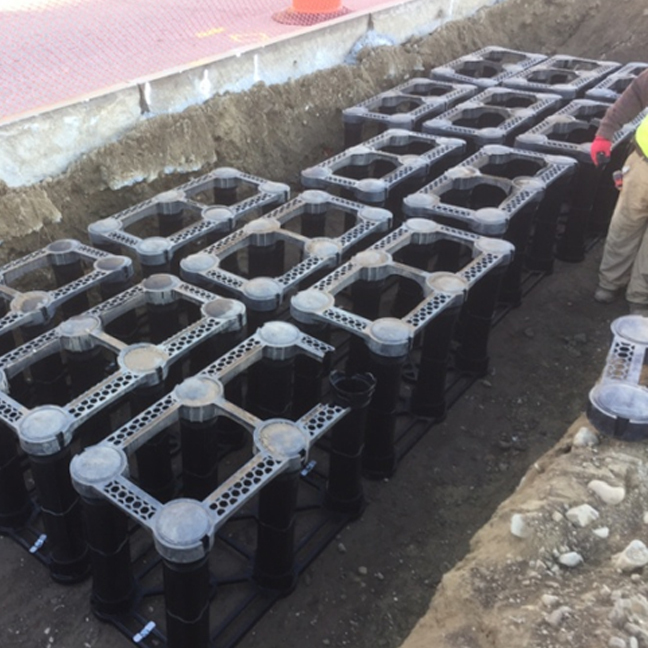 April showers gave a healthy start to the young trees and plantings!